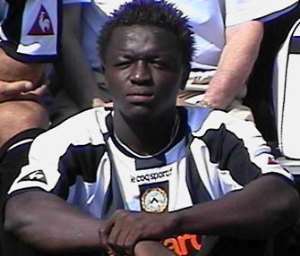 Ghana's Italy based teenage prodigy Sulley Ali Muntari has recovered after sustaining a calf injury last week. The Udinese player told reporters yesterday he expects to the featured in this afternoon's match against Brescia after doctors declared him fit. He said: “"I am well, I have to assure you that would not run any risk if I had to play". It is however not know if coach Luciano Spaletti might take the risk of fielding his most prized midfielder who has won 4 man-of –the-match awards in his debut season in the Serie A, including Udinese's defeat of Inter Milan.